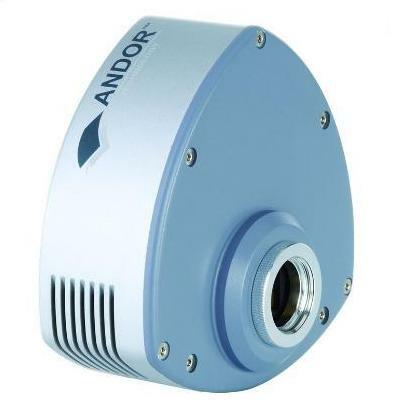 Andor’s Luca is the latest TE-cooled Electron Multiplying CCD innovation, a highly cost-effective yet powerful range of EMCCD cameras for every laboratory. 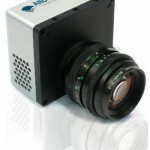 Luca EMCCD cameras represent a new performance standard in ‘workhorse’ cameras. Operate ‘gain off’ for conventional CCD operation under brighter conditions – turn on the EM gain when the photons become scarce! Under such conditions the Luca compares very favorably against common interline technology. 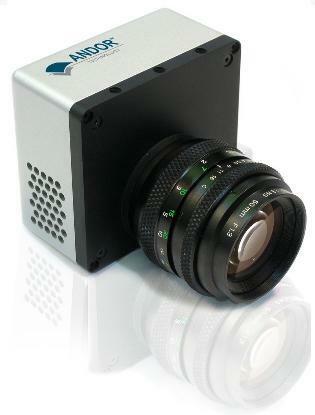 EMCCD Technology Single photon sensitivity + full QE of sensor. Resolution Luca R delivers high resolution over a large field of view. Speed Up to 37 full frames/sec with LucaEM S; faster with sub-array/binning. 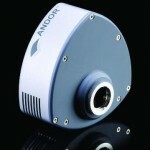 iCam Technology Unique innovation that empowers the EMCCD to operate with market-leading acquisition efficiency through live cell microscopy software. RealGain TM Andor’s unique linear and quantitative EM gain scale. Baseline Clamp Essential for quantitative accuracy of dynamic processes. Auto Dynamic Range Automatically tunes to enable maximum dynamic range. Video out Direct PAL output from LucaEM S for video analogue display on. USB 2.0 No PCI card, no controller box, it’s that simple! Visual Acquisition Follow events in real time during data acquisition. 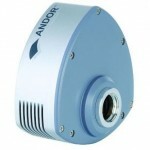 Highly Compact Adaptable across many set-ups. ‘Extreme compact’ OEM version available. Multiple camera Operate multiple low-cost LucaEM cameras synchronized in parallel. 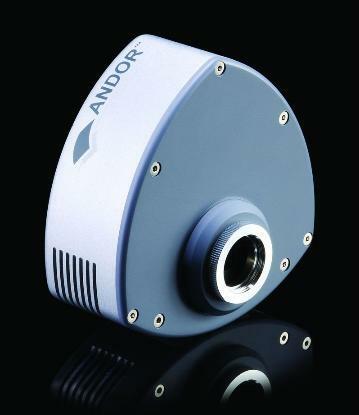 Software Use with Andor’s Solis-i image acquisition software or iQ multi-dimensional microscopy software for optimized performance. Other 3rd party software drivers available.